Fort Monroe's Staff Sgt. Joshua Spiess prepares a head of garlic while competing for the Armed Forces Chef of the Year Feb. 28. Spiess was the only competitor who earned a gold medal in the event, which is judged on a point system. 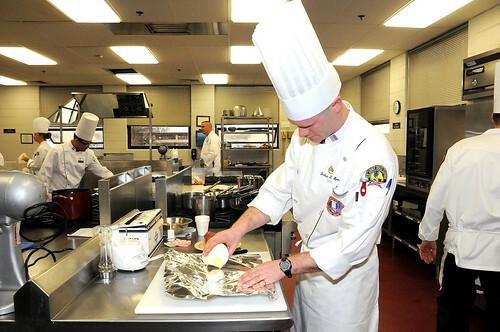 The Armed Forces Chef of the Year competition was the first cooking event in the 35th U.S. Army Culinary Arts Competition.